Congratulations to the Werribee Centrals Football and Netball teams on a fantastic season! Jubilee are proud sponsors of this wonderful club and after attending their end of Season Presentation night we’re excited to bring you their end of season wrap! 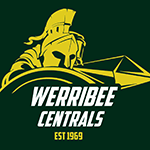 Under the guidance of first year coaches Nick Smith & Simon Calbert, Werribee Centrals saw great improvement in the senior men’s team, winning 10 ½ games (an increase of 5 1/2 games) and improving their percentage by 52.5%. This saw the team just miss out on playing finals. The reserves under new Coach Ryan Quarrier worked extremely hard and were competitive in most games finishing 9th for the season. The Colts team under new Coach Mick Camilleri, were again in Div 2. 2018 saw the Colts change to an under 19 competition, however unfortunately some injuries meant the team played most weeks without a full side. They finished the season in 8th position, with 7 players experiencing senior football for the season. For the first time in the club’s history, the Werribee Centrals fielded a Senior Women’s team, playing in the WRFL under the guidance of the Junior Committee. Coached by Glenn Ballard and his team, the women came together only a few weeks before the season started and had a great first season, just missing out on finals finishing in 6th position. They did however win the Rivalry Round Cup against Tarneit. A Grade coached by Nicole Weatherley finished in 1st position, also losing 1 game for the season, making it through to the grand final beating Thomson by a massive 28 goals to win their 5th grand final from the last 6 seasons. Individual efforts from season 2018 Under 17s coached by Jenni Rothery finished the season in 4th position, unfortunately losing the grand final to Inverleigh by 9 goals. B Grade coached by Emma Gilham & Tania Redpath finished in 1st position, losing 1 game for the season, making it through to the grand final beating Anakie by 4 goals to win their 3rd grand final in a row. C Grade coached by Melissa Prismall finished in 3rd position, unfortunately losing the grand final to Nth Geelong by 10 goals. D Grade coached by Shallon Oldfield finished in 3rd position making it through to the semi finals. If you would like to get involved with the club next year, contact Shane Grigg on 0438 143 656 for Football or Ellie Tubbs for Netball on 0401 609 597. Jubilee would like to extend a congratulations to all coaches and players for their outstanding sportsmanship throughout the year and we look forward to celebrating more milestones in the years to come. Although the football and netball seasons have come to an end, the local sporting community continues to flourish with the Werribee Cricket Club launching their 2018/2019 season in October. Jubilee is honoured to continue its sponsorship throughout this highly anticipated season.